Two high school teachers at two New Orleans charter schools were honored by receiving national recognition and a $50,000 prize for their teaching efforts. 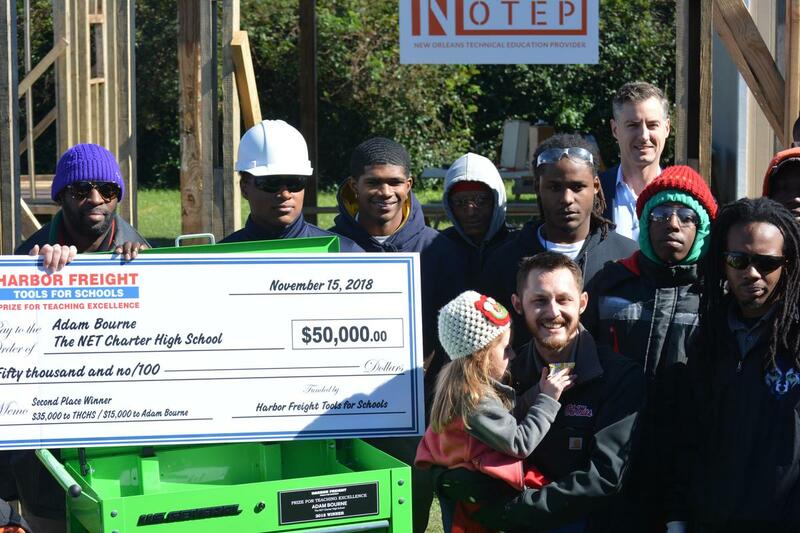 Joshua Overman, who teaches carpentry and advanced manufacturing at New Orleans Charter Science and Math High School, and Adam Bourne, who teaches carpentry and electrical at The Net Charter High School were awarded with the 2018 Harbor Freight Tools for Schools Prize for Teaching Excellence. The award recognizes extraordinary skilled trades teachers and programs with a proven track record of dedication and performance. 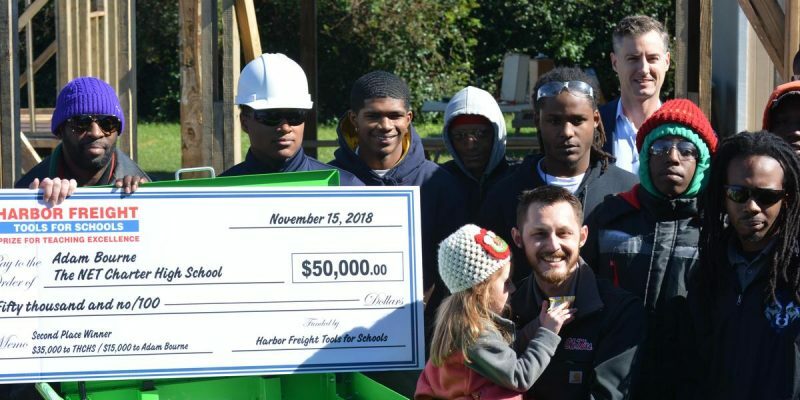 The teachers were each surprised in their classrooms by a representative from Harbor Freight Tools for Schools with the news they had won second-place in the competition and a $50,000 cash prize–$35,000 for each school’s skilled trades program and $15,000 for each teacher. Robin Kramer, representative of Harbor Freight Tools for Schools, and Dave “Lefty” Lefkowith, Assistant Superintendent of the Louisiana Department of Education, surprised Mr. Overman by presenting a large rolling tool box and oversized check. More than 550 people applied to the program from 49 states. The competition required three rounds of judging, each by an independent panel that included experts from industry, education, trades, philanthropy and civic leadership. The field was narrowed to 52 semi-finalists, and ultimately, three first-place winners and 15 second-place winners, including two from Louisiana.